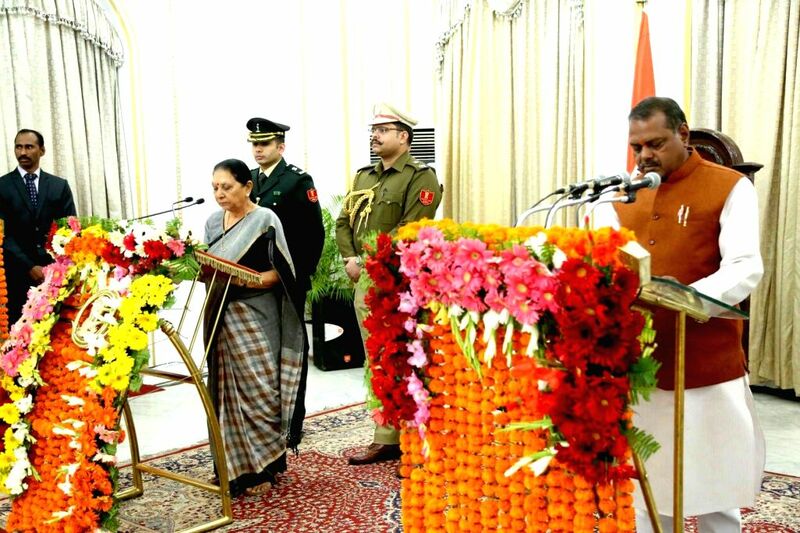 Bhopal: Governor Anandiben Patel administers the oath of office to Narayan Singh Kushwaha during a swearing-in ceremony in Bhopal on Feb 3, 2018. Three new Ministers were inducted into the Shivraj Singh Chouhan government. BJP legislator Narayan Singh Kushwaha was sworn-in as a cabinet Minister, while Balkrishna Patidar and Jalam Singh Patel were inducted as Ministers of State.